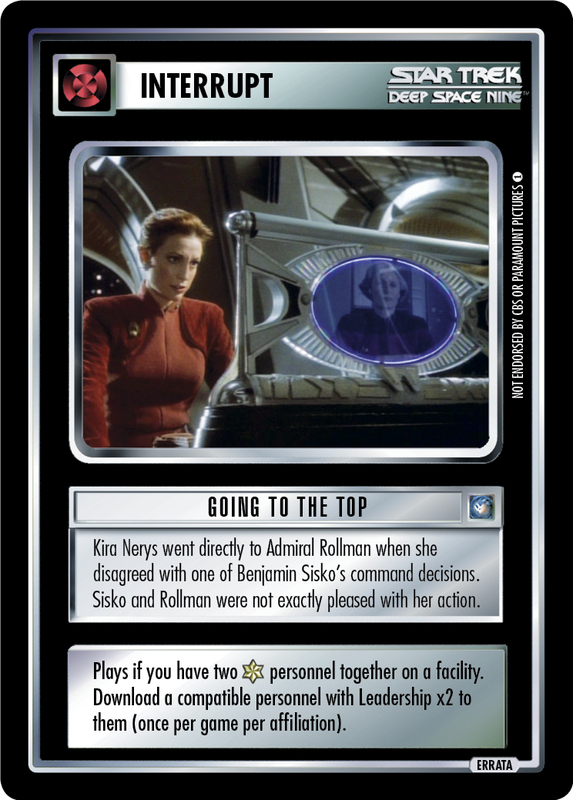 Kira Nerys went directly to Admiral Rollman when she disagreed with one of Benjamin Sisko's command decisions. 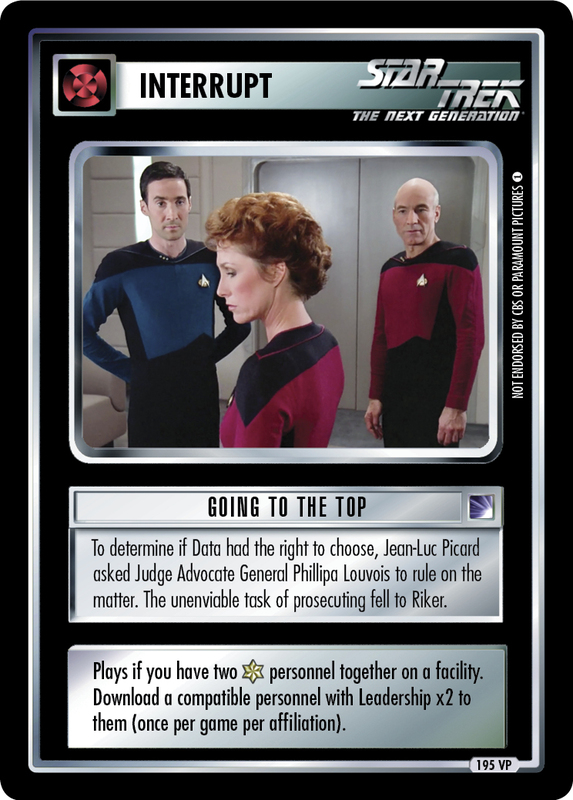 Sisko and Rollman were not exactly pleased with her action. Plays if you have two personnel together on a facility. Download a compatible personnel with Leadership x2 to them (once per game per affiliation). Image Source: Deep Space Nine: "Past Prologue"